Why Rosenthal? A purchaser's view. 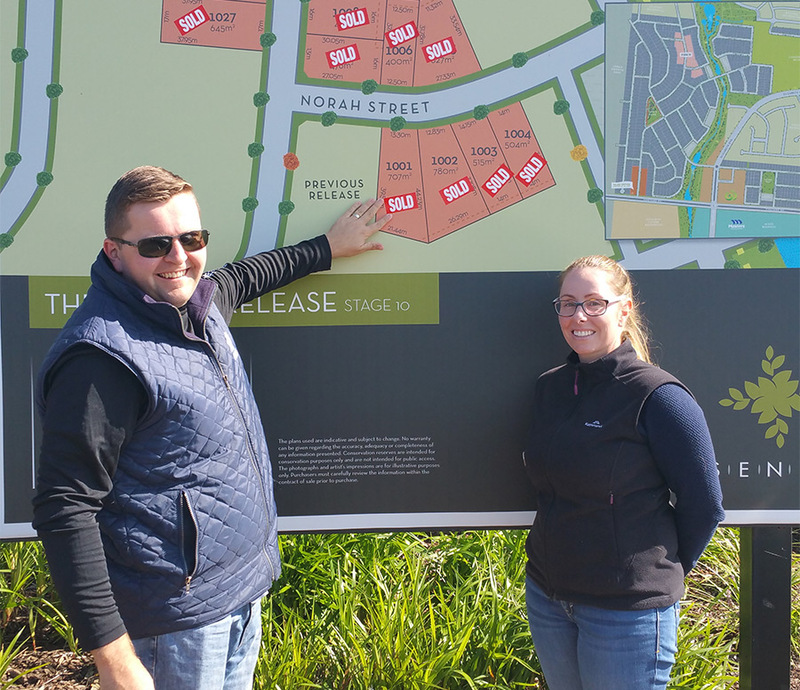 The Rosenthal team recently took some time out to speak with our newest purchasers Stuart & Kim to find out why they purchased at Rosenthal. "There are many things about Rosenthal that appealed to us" Stuart explains. "We are very active people so being close to sporting facilities and the town centre is important to us. We want to be able to access these areas quickly without using the car, which will be made easier with the many bike & walking tracks. When we are at home we wanted to have a backyard to enjoy with enough space to grow our family. Rosenthal offers us this space which is hard to find these days"
The location of Rosenthal also appealed. "I work in the North West of Melbourne so the commute is well under 30 minutes" Stuart adds. "Kim travels quite a bit with work so getting to and from the airport quickly was a priority. Overall, Rosenthal was the right fit for us and we are extremely excited to be moving in". Rosenthal is delighted to welcome you Stuart & Kim.